Emanuel Abrishami, the founder of the One Law Group, had been wanting to be an attorney since he was seven-years-old when he was on a school field trip to the Los Angeles County Courthouse. He still vividly remembers that day when he went into various court departments and had a judge speak to his class. On that visit, as he observed other attorneys appearing in court, Mr. Abrishami imagined himself being one of the attorneys standing before a judge one day. And since then, Mr. Abrishami never let go of that vision. Today, Mr. Abrishami frequently appears at the very same courthouse and to this day, he is reminded of that school trip every time he visits that courthouse. Prior to starting the One Law Group, Mr. Abrishami worked in a law firm specializing in catastrophic injury cases where he learned the nuances of litigation. He made his first court appearance a week into practicing law and is never afraid to go to court and fight for his clients to make sure that his clients are fully and fairly represented. And at the same time, he will pay attention to all the necessary details, both prior to filing a lawsuit and during a lawsuit, to ensure that his clients are receiving proper representation. Mr. Abrishami always makes sure that as soon as a case comes to his desk, to go through the checklist of all necessary items to make sure that no stone is left unturned. And in the realm of litigation, there are several deadlines and various motions that can be made which are crucial to maintaining the integrity of any case which Mr. Abrishami is readily familiar with. Sample cases include wrongful death, amputation, motor vehicle collisions, truck accidents, dog bites and slip and fall related injuries. Despite having seen a multitude of such cases over his career, Mr. Abrishami remains compassionate to his clients and is determined to fight those who have wronged his clients. All staff members at the One Law Group speak Spanish. Mr. Abrishami has been selected by Los Angeles Magazine to the exclusive Super Lawyers list in 2015, 2016, 2017, 2018 and 2019. 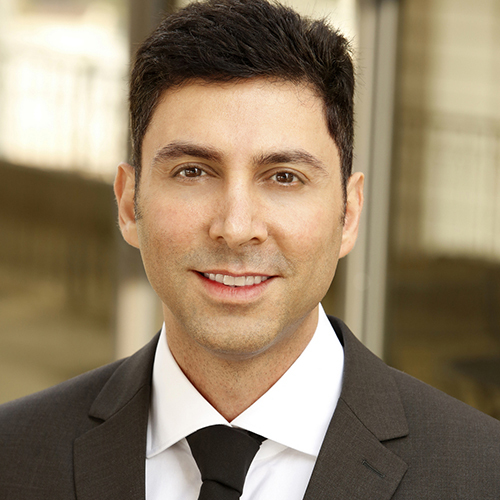 He is a member of the California Attorneys Association of Los Angeles and the Beverly Hills Bar Association. He has appeared regularly on KABC 790 to discuss present legal issues. He has also mediated several cases pro-bono. Having done so has allowed him to better understand cases from a negotiating perspective, after having already been on both the defendants’ side and now currently on the plaintiffs’ side. And having a JD/MBA has allowed Mr. Abrishami to further sharpen his business acumen which has translated to several successful settlement results. Mr. Abrishami is a graduate of both Boston University and Pepperdine University School of Law where he received an academic-merit scholarship. He mentors a new group of first-year law students every year and guides them on how to be effective academically and personally as the students are beginning their careers. Mr. Abrishami is also involved as a board member in various charitable organizations in the community.